Internet is an ocean of Information, where every thing is a just a click away for anybody. You may take it as an entertainer, messenger, teacher, shop keeper or the business promoter, it’s always available for you with any of the service. In accordance to some sources, near about 280 million people use the internet services each year. The large portion, out of the total users, utilize it to entertain themselves, it maybe their engagement with the social media, watching movies or listening songs. You will be surprised to know, after entertainment, the next large portion out of the total users, utilize it for education. You maybe wondering, if that’s the good choice for any proper, complete education. Here we want to ask a thing from everybody, Do you think getting 90% marks from any esteemed university or institute is only a proper education. We agree, degrees plays an important role in our lives and we can’t survive without having any. What about having the basic education from colleges and universities. the additional part from the Internet. Actually, Today, we are here to discuss the same with you, to learn Programming using the top websites over the Internet. To learn Programming over the internet, you must have the trust to this online education system. After trust, the interest, punctuality and the imagination power will decide, how far you go with this. While using this online model of the education, you never have to worry about anything, here you will get all the notes in the form of files, lectures in the form of audio clips and videos. In addition to this, Online Communities for the help are always there in case of any problem. In fact, life is very short to learn everything, everybody wants to collect the maximum of the education within the allotted time period, given by GOD. So, without wasting any of the precious second, let’s move to the main section, top websites to learn programming languages. 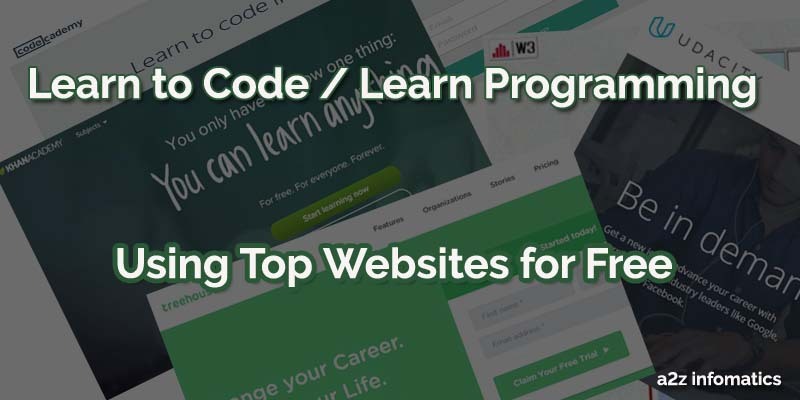 Top Free Websites to Learn Programming. First on the list is Codecademy. On Computer systems, to get the best user experience out of their website, always use desktop version of the Google Chrome. You may face some problems, while surfing the website from your mobile devices with any of the available browser. Till date, there is no information about the mobile app of Codecademy, once it’s out, we will update the same here. You will also get the member’s area section at their website, to save any of the incomplete / complete program. 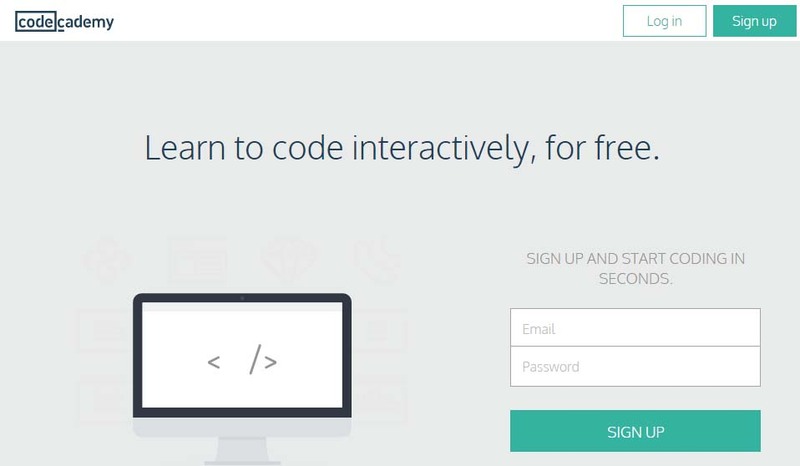 Check out the Codecademy Website NOW. Second on the list is Khanacademy. In 2006, Sal Khan (Salman Khan) has founded this non profit educational organization with a goal to avail the quality education to any common man. At present (Feb 2016), the global alexa rank khanacademy’s website is 1159. Actually, this is the best place for the person, to learn Programming languages alongside Physics, Chemistry, Mathematics etc, from basic to the expert level. Here, you will get micro lectures, Youtube Tutorials and many other tools for the users, to enhance their programming skills. 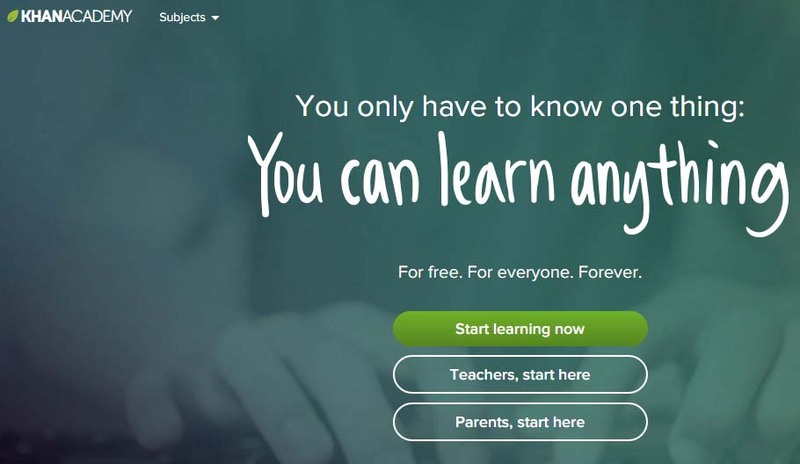 Everything at khanacademy is available for free, no stings attached. Although, the primary language for there website is English, study material is also available in many different languages too. Same recommendations here too, Use Desktop version of Google Chrome to get any best user interface out from the khanacademy website. Great news, mobile app for the iOS and Android platforms is available at khanacademy. You can download their app from the respective app stores, Playstore for the Android users and iTunes for the iOS users. Check out the Khanacademy Website NOW. Third of the list is Udacity. In 2011, Sebastian Thrun, Mike Sokolsky and David Stavens, founded this For-profit educational organization. and Sal Khan (Salman Khan) has founded this non profit educational organization. In the beginning, Udacity has focused on university style courses, as of now they are concentrating on vocational courses for the professionals. Their current (Feb 2016) global alexa rank is 2722, with the active users near about 1.6 Million. Presently, they are offering courses on, Mobile app development, Web development, Java, Python, HTML5, Algorithm, Computer Science etc etc. You can access their website by any of the platform and browser, Google Chrome is the best for any great user interface. Good news for the iOS users, they recently has released their mobile app for the iOS users, you can download the the same from iTunes. 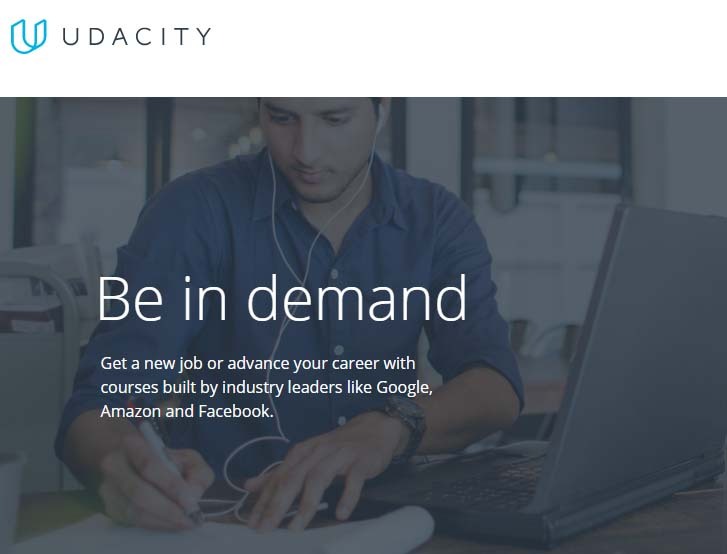 Check out the Udacity Website NOW. Forth on the list is Treehouse. Treehouse has been founded by Ryan Carson and Alan Johnson, in 2011. Currently (Feb 2016), global alexa rank for Treehouse’s website is 3575. 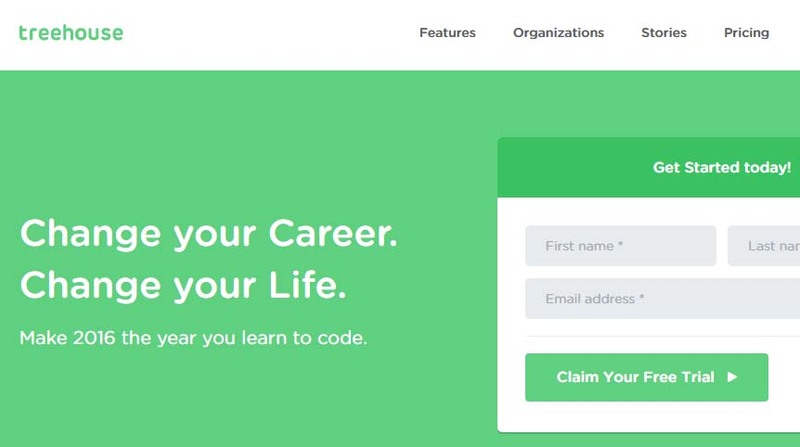 Treehouse is one of the best website, under the learn to code category. At present, they offer courses for, mobile app development, web development and business development. They use, short video tutorials, quizzes to enhance the power of their students. Different from the others, their website is fully responsive, hence can be accessed using any of the platform or browser. They also offer the mobile app for the Android users, the same can be downloaded by the PlayStore. You may opt to sign up their service OR you can try free trial. Check out the TreeHouse Website NOW. Fifth on the List is W3 Schools. The best thing about the W3 Schools is the, Online MCQ tests for the students, which are useful to confirming your status in the mid of any couse. If anybody’s interested, they also offer web certifications, for all the offered languages, at the fees of $95. You are free to use their Website by any of the Platform or browser, as it’s fully responsive. Check out the W3 Schools Website NOW. Today, we have shared the best places to look for, if you are interested to learn programming. Please have a look on each of the website listed above, and choose the appropriate one, according to your needs. That’s it for now, we are leaving now, with a promise to add some more Genuine Names to this list, some other time. At last, thanks for visiting a2z infomatics. God Bless Everybody. 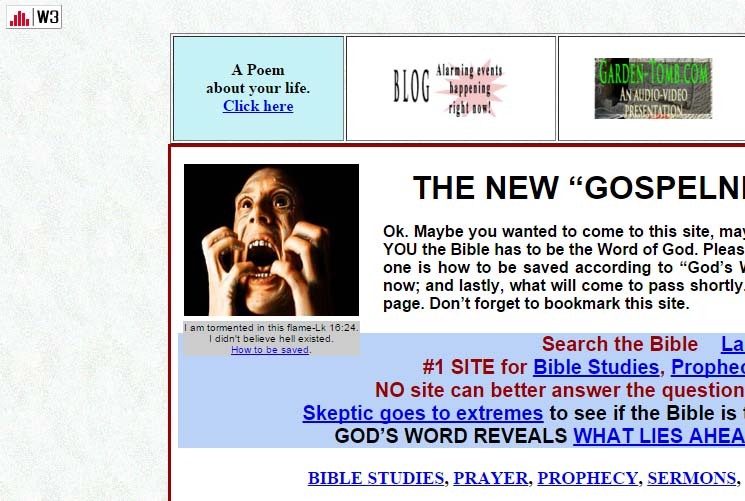 Very good Web-site, Preserve the fantastic work. Thanks for your time.